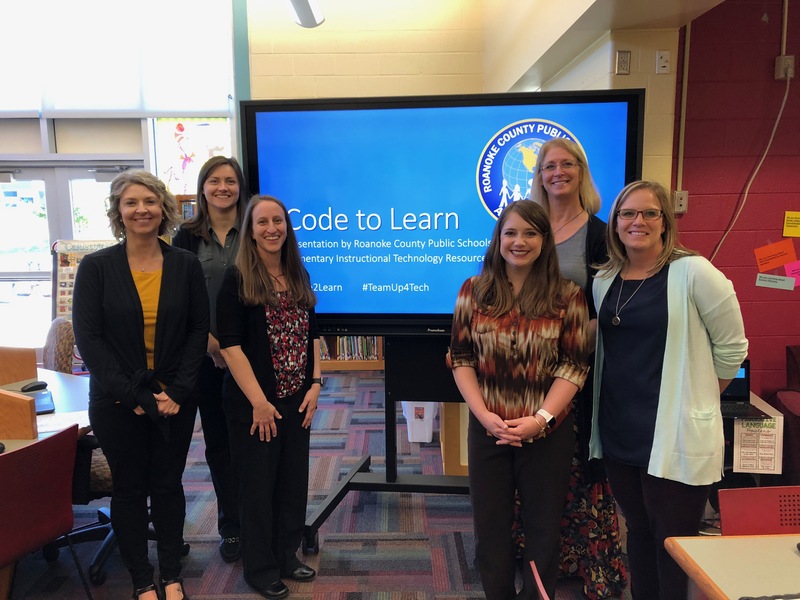 Roanoke County Elementary Instructional Technology Resource Teachers maintain this website with contributions from other educators in Roanoke County and nearby divisions. Tina Coffey has been a public school teacher for over twenty years, the last fourteen as an Instructional Technology Resource Teacher. She holds her Masters in Curriculum and Instruction from Virginia Tech and her Bachelors from Emory & Henry College. 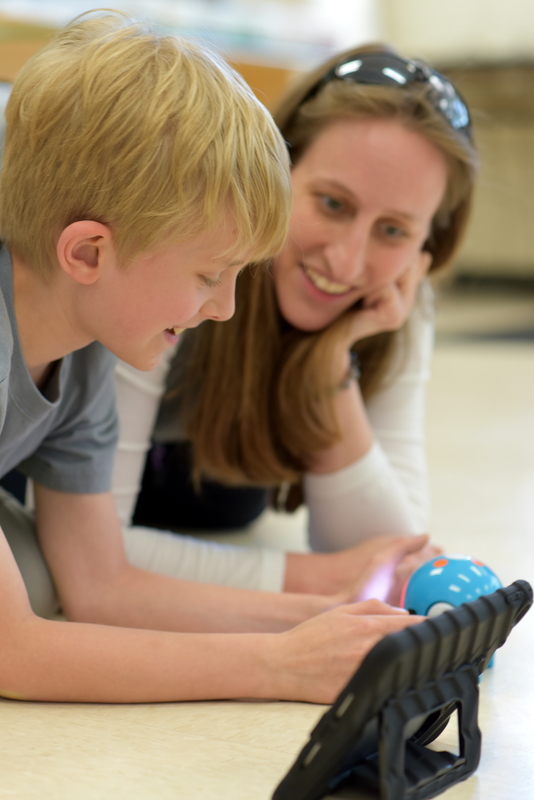 She works with teachers at three schools in Roanoke County, helping them learn to use and integrate technology into their classrooms through inservices, small group training, and co-teaching. She is passionate about STEM activities, Project Based Learning, Makerspaces, and other technology and hands-on methods to engage students, make learning relevant, promote global literacy, and foster 21st Century skills. She presents at various local, state, and regional conferences and was recognized as the Level Up Village US Teacher of the Year in 2017. She is the Coordinator for the Roanoke Mini Maker Faire which showcases talented student Makers and draws hundreds of attendees from the Roanoke area. She also teaches technology and teacher recertification classes at Virginia Western Community College. She loves traveling, schnauzers, reading, hiking, camping, geocaching, backpacking, gadgets, yoga, having fun, and staying connected. She blogs about Teaching with Technology here. Meg Swecker is the Coordinator of Technology Integration for Roanoke County Public Schools, in Roanoke, Virginia. She works with elementary and secondary teachers at three schools, helping them learn to use and integrate technology into their classrooms. She has been teaching for 29 years and has been an ITRT since 2000. Meg moonlights at the local community college, designing and facilitating teacher recertifcation seminars. She presents at local, regional, and state wide conferences and was the 2009 Virginia Technology Leadership Award recipient from the Virginia Department of Education. She is a scuba instructor and loves warm, tropical locations. She blogs about technology integration on the Giant Stride blog. Sherri Rickman has been in public education for 12 years. For the past year and a half, she has served as an Instructional Technology Resource Teacher for Roanoke County Public Schools. In this role, she works collaboratively with teachers at three different elementary schools to help support the integration of different technologies into their classrooms. She holds her Masters in Business and Bachelors of Information Science and Technology from Radford University. Jessica McClung has been in the field of education for over twenty years, with a specific focus on working with and advocating for students with disabilities. Jessica earned her bachelors and masters degrees in special education from East Tennessee State University. She then completed her doctorate at Virginia Tech in 2002. Currently, Jessica is the Director of Special Education and Pupil Personnel Services in Roanoke County Public Schools. Prior to this, she was a principal, assistant principal, special education supervisor and teacher. Jessica is married and has three spunky children who keep on her toes and help her to always remember what’s really important in life. Jessica enjoys photography, geocaching, crochet, and cooking and volunteers her time working with adults with disabilities in her church. Kimberly Bradshaw has been in public education for twenty four years. She is President Elect for the Children’s Council with ITEEA. Prior to becoming an administrator, Kimberly taught Pre-K, First, Second, Third, and Fifth Grades. 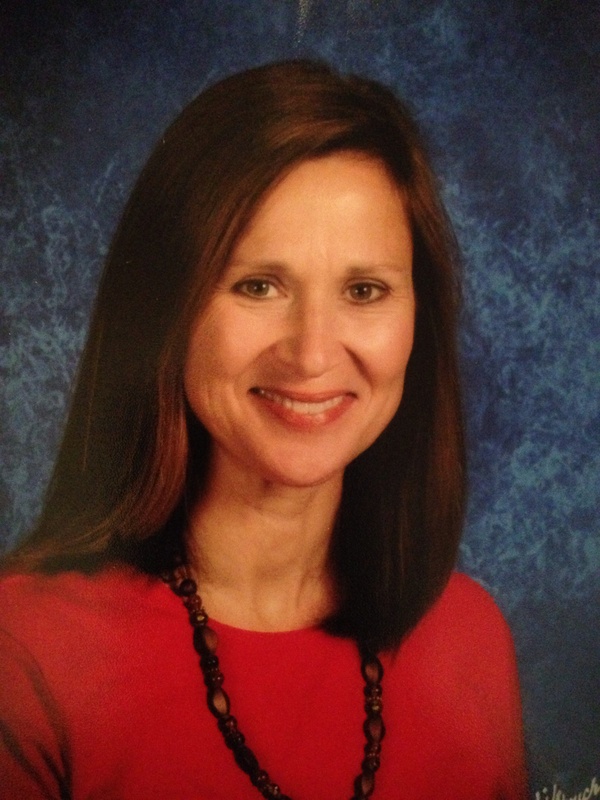 Kimberly is in her eleventh year as an administrator with Roanoke County Public Schools. She is proud to serve the teachers, staff, students and community at Green Valley Elementary. As an administrator, Kimberly encourages the use of STEAM components in the classroom where she has witnessed reluctant learners turn into excited, engaged, and active participants in the learning environment. Kimberly is married to Jim Bradshaw and together they have two children Kristen, who is in her second year at Coastal Carolina majoring in Marine Science, and Jason who is in middle school. Kim enjoys spending time with family and friends, traveling, and reading. Cindy Klimaitis has been in public education for twenty-five years. She earned her undergraduate degree from Bluefield State College in Elementary Education, a Master’s Degree from Virginia Tech in Curriculum and Instruction, and an Ed.S from Virginia Tech in Educational Leadership. Prior to becoming an administrator, Cindy was a teacher for 16 years in multiple grade levels including Special Education and as a Reading Specialist. Cindy is in her 9th year as an administrator with Roanoke County Public Schools. She is proud to be a life-long learner alongside her staff and students at Oak Grove Elementary. Cindy is an advocate for student engagement via Stem education in the classroom. She believes all students have the ability to create and problem-solve in their unique ways. 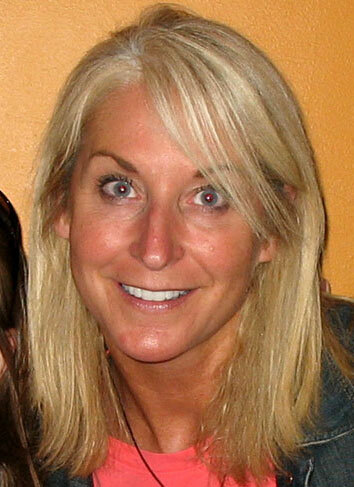 Cindy is married to Ken Klimaitis and together they have a 23 year-old son and 20 year old twin daughters. Cindy enjoys spending time with her family, friends, and fur babies. She also enjoys hiking, traveling, and reading a good novel on a sandy beach. Patricia Gentry is a Special Education Teacher for Roanoke County Public Schools in Roanoke, Virginia. She has worked in both general and special education settings for over twenty years. Currently, she teaches in the FACES (Functional Academic and Career Education) program, focusing on functional academics and daily living skills for students with more significant disabilities. She has a masters degree in School Administration and Supervision from the University of Phoenix and bachelor degrees in both special education and elementary education from Montana State University- Billings. She loves hiking, camping, geocaching, crocheting, and spending quality time with her family. Heather Balsley is the Teacher-Librarian at William Byrd Middle School. She has been in the education field for 24 years and began her career in Special Education. After graduating from Radford University with a Bachelors in early and middle education and Masters in Learning Disabilities, Heather went on to earn her National Board Certification. She is an active member in the Virginia Association of School Librarians, named Roanoke Region Librarian of the Year in 2011, and presenting educator for the Library of Congress. Heather loves her middle school students and helps them see beyond the classroom walls with Makerspace and Stem activities. She updates conference materials and projects on her website: Reading Rocks WBMS. Heather is married and has one son, Jake, who is a student at William Byrd High School. In her free time she likes to bike, hike, and read. Leigh Ann Becker graduated from Mary Baldwin University with a Bachelor’s Degree in Elementary Education. She has been teaching in Roanoke County Schools for the past 15 years in second grade and fifth grade. 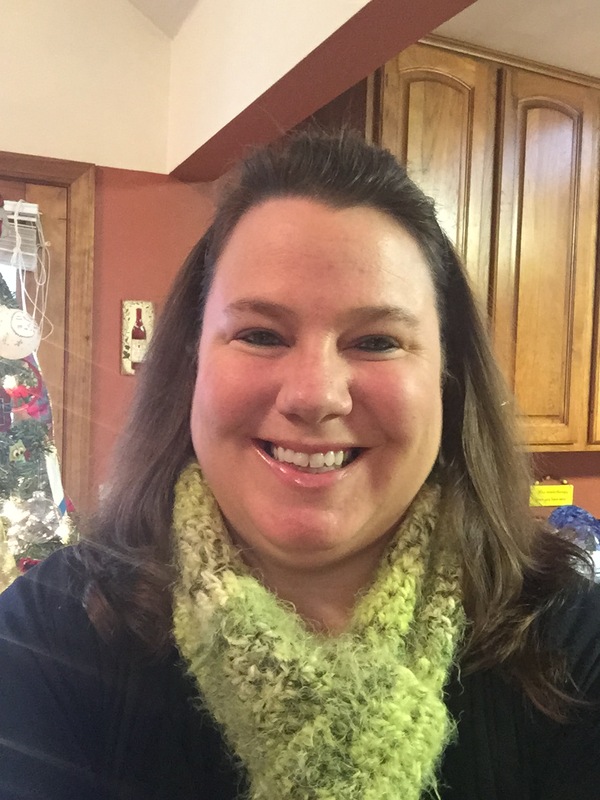 Leigh Ann is eager to learn new things and enjoys sharing her enthusiasm for learning with her students. Leigh Ann enjoyed working alongside Tina Coffey for the past 2 years learning how to implement the Level Up Village global STEAM courses into her fifth grade curriculum. Leigh Ann is a married mother of three who enjoys photography, spending time outdoors, researching new topics, and reading. Susan Corbett has been in education for 27 years; 2 as an Instructional Assistant for Special Education, 2 in Gifted Resource, and the last 23 as a classroom teacher. Currently, she teaches fourth grade reading, writing, and science at Oak Grove Elementary and also serves as chairman for their SCA. Susan is married with two children. She is a graduate of Virginia Tech with degrees in Philosophy and Political Science. She earned her teaching certificate from Roanoke College. Outside of school, Susan serves as a Girl Scout leader and high school band volunteer. She enjoys reading, singing, and hiking. Susan is always looking for ways to incorporate technology into her lessons. She has worked closely with Tina Coffey to develop STEM and Makerspace activities for her students. Her current project focuses on the merger of Pokémon Go with her science unit on animal adaptations. Lynda Graves has taught fourth and fifth grade for nine years with the Roanoke County Schools. She holds a Masters of Arts in Teaching from Hollins University and a Bachelors of Arts in Journalism from the University of North Carolina at Chapel Hill. Prior to her career in education, Ms. Graves worked in public information for the U.S. Navy, City of Norfolk and Newport News Shipbuilding. Ms. Graves represents mature professionals who, despite having grown up with bunny rabbit ears atop their black and white television sets, are embracing current technology and striving to provide relevant experiences for young students. Jeanine Poyner has been a public school teacher for 9 years. She holds her Masters in Educational Leadership from Old Dominion University and her Bachelors from Roanoke College. She currently works as a fourth grade classroom teacher in Roanoke County. She also has experience teaching in Kindergarten, first grade, and third grade classroom settings in Norfolk and Roanoke City. She has a passion for integrating technology-enhanced learning experiences into her classroom, promoting creative ways for students to demonstrate their knowledge. She loves snowboarding, Redskins football, playing sports like basketball and volleyball, sewing, and traveling. Code’ Sizemore has worked in public education for fourteen years. She currently teaches first grade at Millboro Elementary School in Bath County, Virginia. Code’ taught forth grade at Mt. Pleasant Elementary in Roanoke County for one year and sixth grade English at William Byrd Middle School for eleven years. Code’ has a Bachelors from Roanoke College and teacher certification from University of Virginia. Her classes are always built on creativity and character. Student engagement comes from kids wanting to be a part of what happens in her class each day. Her invitational methods have students wanting to be a part of a collaborative group that wants to work hard for each other and their teacher. Code’ has also been a major part in Roanoke County Firefighter Character Camp each summer. She presents at national, state, and local conferences and professional development activities. Steve Sizemore is a Principal at Valley Elementary School in Bath County, Virginia. Before his current assignment at Valley, Steve served four years as an assistant principal in Roanoke City Public Schools. His pre-administration life consisted of eight years in Roanoke County Schools education as a middle school History, Civics, Math, and Science teacher. Steve also taught special education at the elementary level for three years. He holds a Bachelors in History from Roanoke College and a Master of Science in Educational Leadership form Radford University. As a teacher and administrator, Steve believes the key to student success is rooted in interpersonal and instructional engagement, and engagement stems from creativity. Steve is a McGlothlin Award winning educator who has presented a numerous conferences and professional development activities. Melissa Weikle is a third grade teacher with Roanoke County Schools and has been teaching for fourteen years. She holds a Bachelor of Arts in Liberal Studies from Longwood University. Outside of the classroom, Melissa enjoys spending time with her family and friends and vacationing at the beach. Jessica Whitlock has been a public school teacher for 7 years, the last two as an Instructional Technology Resource Teacher. She holds her Bachelors from Radford University. She currently works with teachers at three different schools across Roanoke County. She helps these teachers implement technology through co-teaching lessons and offering inservices to her staff. Prior to becoming an ITRT she worked as a 4th and 5th grade teacher in Mililani, Hawaii and Montgomery County, Virginia. She is passionate about student growth and learning through 21st century technology skills. During her free time she enjoys watching football, going to VT football games, hiking and camping with her husband and two dogs, and exploring new technology and gadgets. 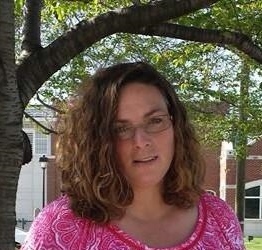 Alisa Downey is a Special Education Teacher for Roanoke County Schools, in Roanoke, Virginia. She co-teachers with teachers in different grade levels, planning and delivering lessons to students with disabilities and students without disabilities. She has been teaching for a total of ten years. She has her Masters in Education from Liberty University and her Bachelors from ToccoaFalls College. She loves hanging out with her family, traveling, hiking, baking, art, being creative, meeting new people, photography, and learning about other cultures.